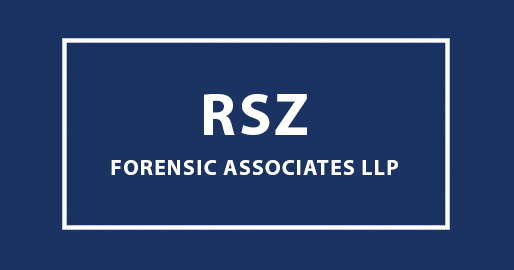 RSZ Forensic Associates LLP is pleased to announce that David Zweighaft, a partner and specialist in forensic accounting and investigations, was appointed to the American Institute of Certified Public Accountants (AICPA) Forensic and Litigation Services (FLS) Committee. In this position, Zweighaft will use his expertise from years of experience in the forensic accounting field to assist the committee in its various supportive efforts for the AICPA. In addition, he will co-chair the Forensic Technology Task Force, developing resources relating to Artificial Intelligence (AI), Blockchain technology, and Data Analytics. The FLS Committee plays an important role in providing technical and educational guidance to CPAs in public practice or in the private sector who provide or seek to provide forensic accounting services. The committee works to develop and maintain standards of practice and to broaden the scope of services and address changes in technology, the legal and business environment, and help prepare future forensic practitioners to meet the needs of their clients. Zweighaft specializes in providing litigation consulting and forensic accounting services to attorneys, public and private corporations, and governmental agencies. He provides consulting and investigation services on matters involving financial fraud, commercial litigation and disputes, and asset tracing. Zweighaft is a frequent speaker and contributor to professional publications and presents continuing professional and legal education programs in the areas of forensic accounting and fraud.